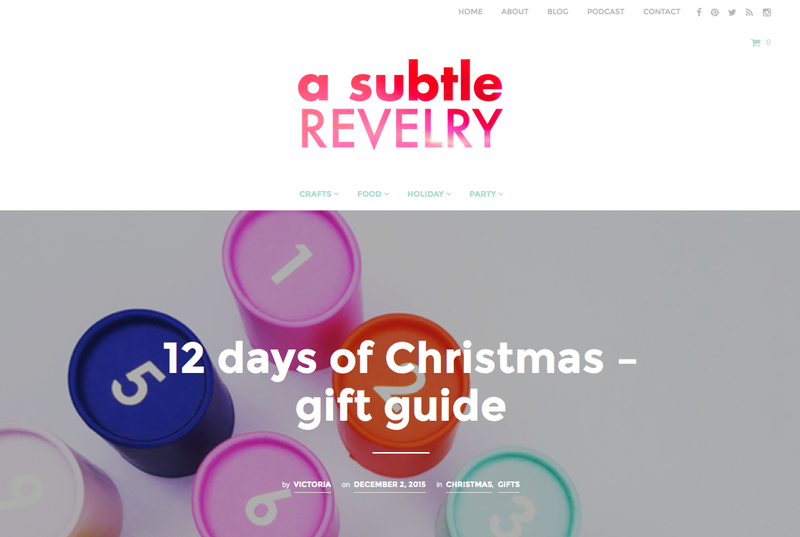 So honored to be featured in A Subtle Revelry’s 12 Days of Christmas Gift Guide! Here’s an except: A clutch is one of those items that most gals I know will adore, use often… and also never buy for themselves. A perfect idea for Christmas! 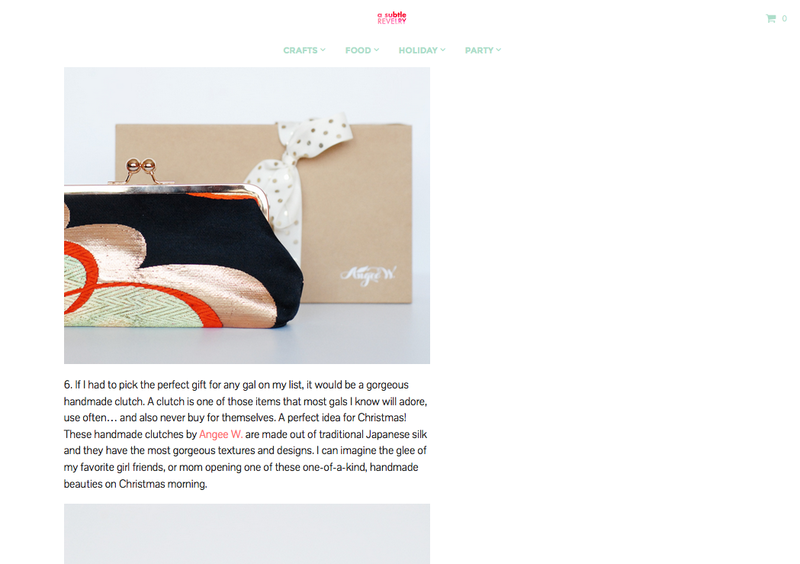 These handmade clutches by Angee W. are made out of traditional Japanese silk and they have the most gorgeous textures and designs. I can imagine the glee of my favorite girl friends, or mom opening one of these one-of-a-kind, handmade beauties on Christmas morning.